Dusty hiking boots were tugged off, bagged up, and packed away with the rest of our rumpled safari clothes, replaced by a bathing suit under a T-shirt and shorts. Teva sandals were fastened securely by Velcro straps for the wet boat ride from the west coast of Zanzibar to Chumbe Island Coral Park thirty minutes away. After nine days jostled about in a Land Rover on safari in Tanzania, my husband, Bill, and I retreated to this getaway featured in Fodor’s Green Travel Guide as one of the best eco-lodges worldwide. Here the explorer is set free from the confines of a safari vehicle, as there are no lions or other wild animals around to attack. Miles of rare coral-rag forest to roam (some of the last remaining ones in the Zanzibar archipelago) and vast gardens of pristine coral allow one to stretch out stiff legs and swim while gazing down at swirling rainbows of tropical fish. Limbs seem to liquefy in surrender to the buoyancy of water so shockingly blue it appears God remembered one of the vibrant colors he used on a reef fish and deemed it a perfect fluorescent shade for the entire Indian Ocean! 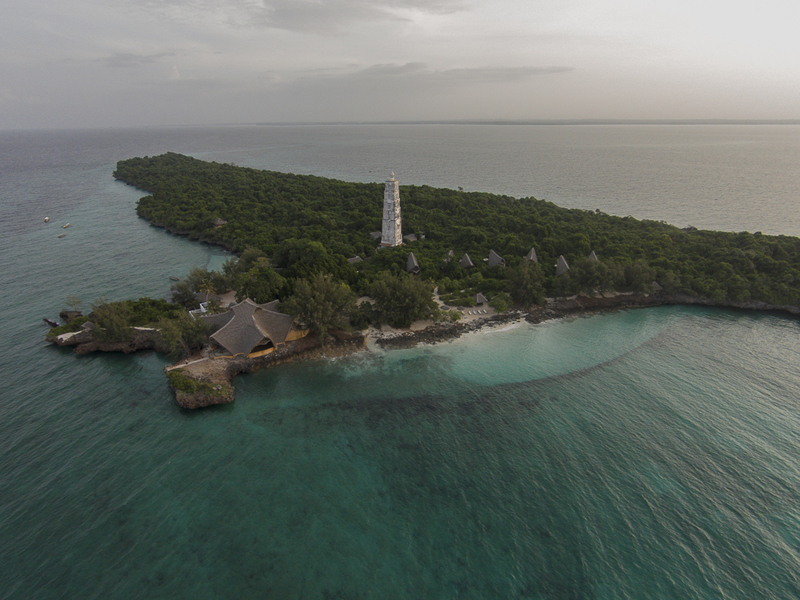 Chumbe Island's protected reef sanctuary hosts 90 percent of the coral diversity found in East Africa. 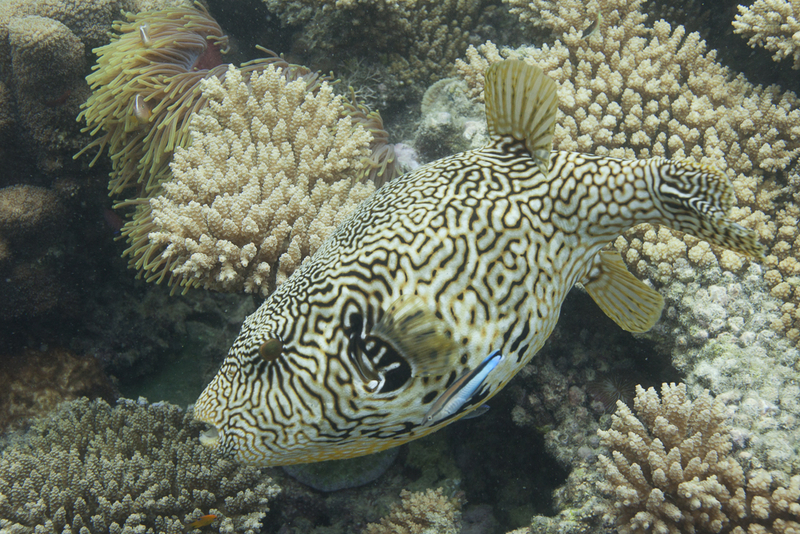 Around two hundred species of hard corals have been identified by Professor Veron from the Australian Institute of Marine Sciences, who praises Chumbe for “one of the most spectacular coral gardens to be found anywhere in the world.” These corals provide shelter and food for over four hundred species of reef fish. Happily, all are preserved—thanks to one woman's vision for the future. 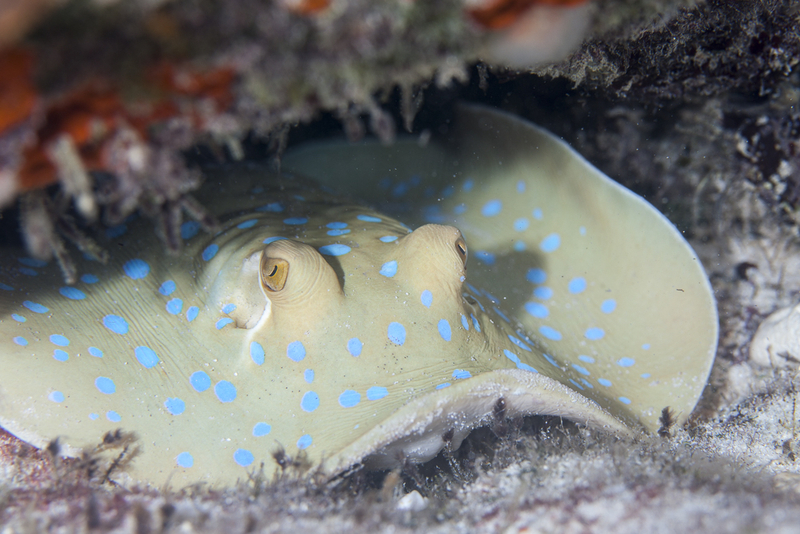 In the early 1990s, Sibylle Riedmiller, a German scientist formerly working in overseas development, discovered this uninhabited island and thought it ideal for a protected marine sanctuary; its incredibly diverse reefs were shallow enough for the environmental and educational programs she envisioned. For years, Chumbe had served as a military base, with a "No visitors allowed" policy that spared the coral reef from the fate of so many other East African ones degraded by dynamite fishing and pollution. The island's ecotourism grew in 1998, developing a financially sustainable model to generate profit for education and research. 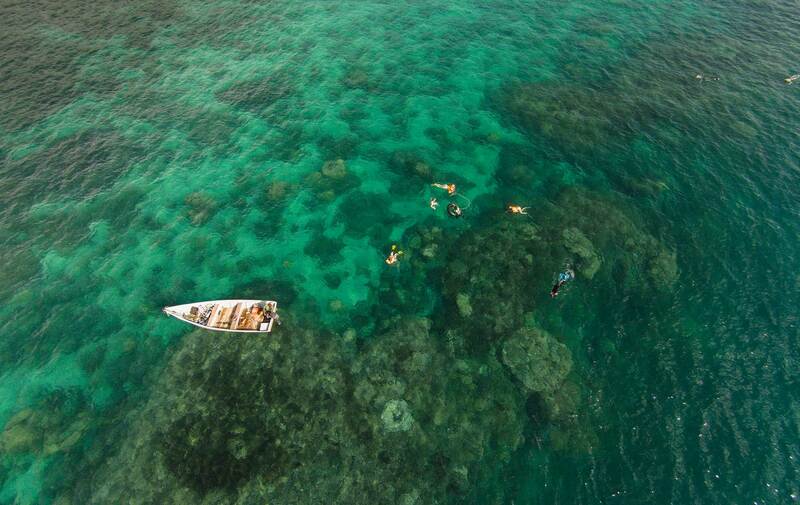 Chumbe Island Coral Park was the first privately managed protected marine area in the world. The island's flora, fauna, and coral reefs look much the same today as they did thousands of years ago when dhow ships plied these waters bearing precious bounties of spice. “Karibu Sana.” A ranger welcomes guests with a Swahili greeting at the visitor center before escorting them to one of the seven eco-friendly bungalows hidden away in the thick forest along the beach. The bungalows' design is a modern interpretation of a traditional African dwelling. All are open-aired, built with natural materials, decorated with handmade furniture and African art, and offer comfortable hammocks, yet they also feature the latest eco-technology. Photovoltaic panels on the roof provide solar power for lights, while ocean trade winds cool the rooms. There is no groundwater on the island, so each bungalow collects rainwater during the rainy season and stores it in underground cisterns. The water is then hand-pumped through solar-powered heating systems to provide hot and cold water for showers and bathroom basins. Robinson Crusoe never had it so good! Chumbe Island's protected reef sanctuary hosts 90 percent of the coral diversity found in East Africa. Local guides write daily activities on a blackboard at the visitor center. 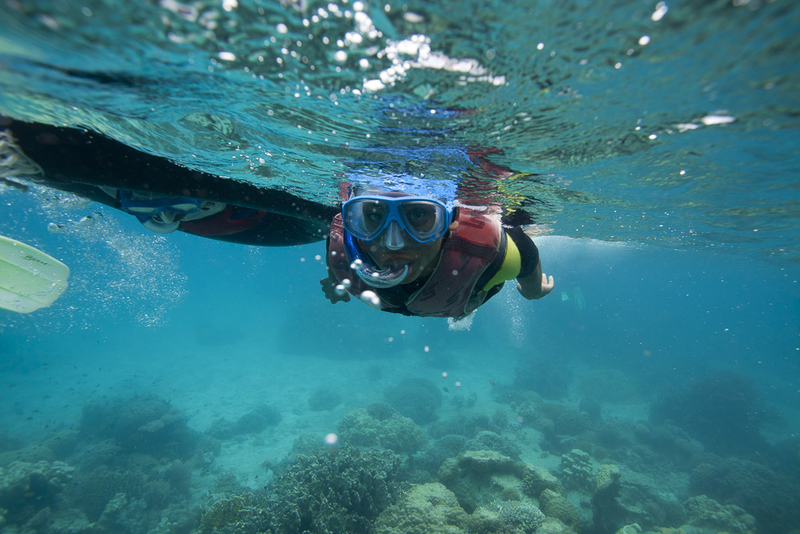 Excursions around Chumbe Island include several snorkeling outings throughout the day, as well as guided tours at low tide to examine tide pools and late afternoon treks through the coral-rag forest. Guests can enjoy a peaceful interlude lazing on soft pillows piled high on secluded platforms that provide stunning views of the sea. Each day's adventures are followed by dinner under the stars, including delectable dishes inspired by a fusion of Zanzibarian, Arabic, Indian, and African cuisines whipped up by talented chefs. Chumbe's healthy, preserved coral reefs show a startling contrast to the sterile, barren conditions of degraded reefs so common elsewhere. It opens the minds and hearts of travelers to the wonders of nature. Hopefully, early exposure and education of children brought here on field trips from nearby Stonetown will spark a passion that makes them lifelong stewards of Africa's treasures. Chumbe’s coral-rag forest provides refuge for an abundance of wildlife including birds, crustaceans, nonpoisonous snakes, and lizards. It even keeps one species, the shy reclusive Ader’s duiker, from going extinct. This smallest of all antelopes is considered the most threatened antelope species in the world. To save it, the Department of Forestry relocated the antelope from its original home on the Kenyan coast to the safety of Chumbe. The Coconut Crab is another threatened species that flourishes on Chumbe. 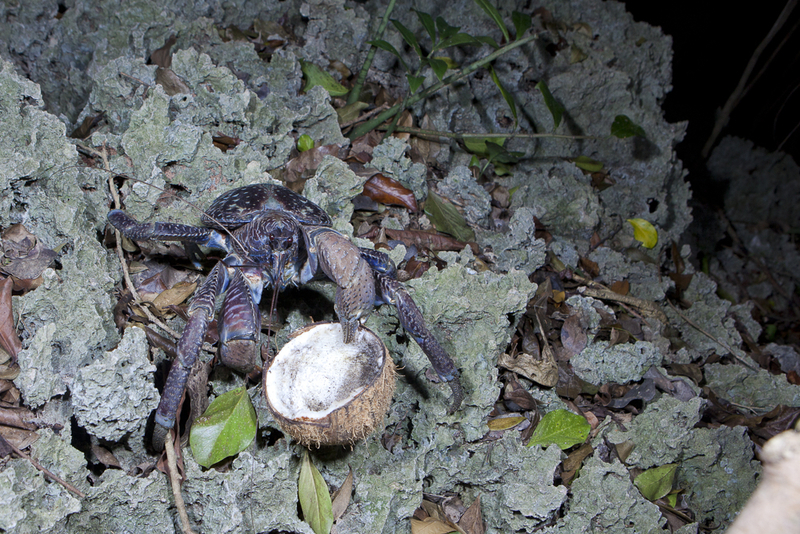 The world's largest land-living crab, it can scuttle up trees and crack coconuts open for food. The island is home to over 124 plant species that can survive without groundwater, as the fossilized coral bedrock is incapable of storing rainwater. At low tide, guests can walk over this fossilized coral along the fringe of the island, where it crunches underfoot like seashells. Receding tides expose a myriad of creatures left stranded on its serrated edges. 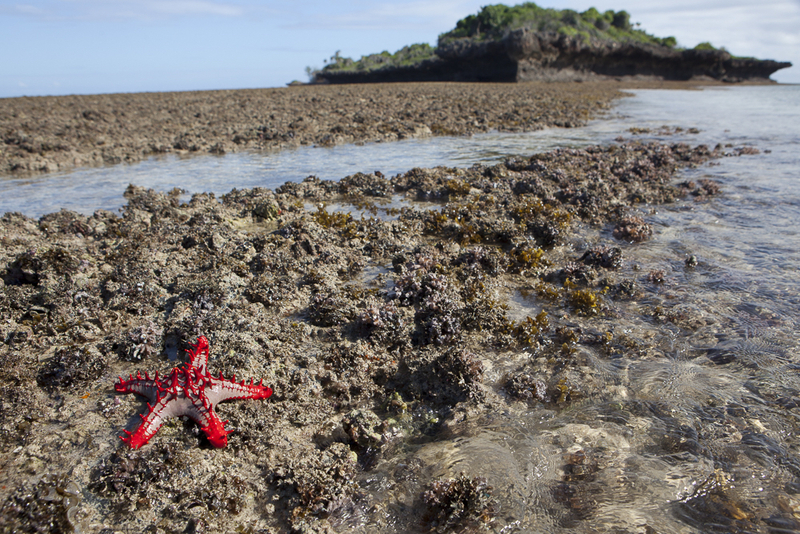 Crimson and royal-blue starfish litter the surface, while sea urchins hunker down in the crevices. 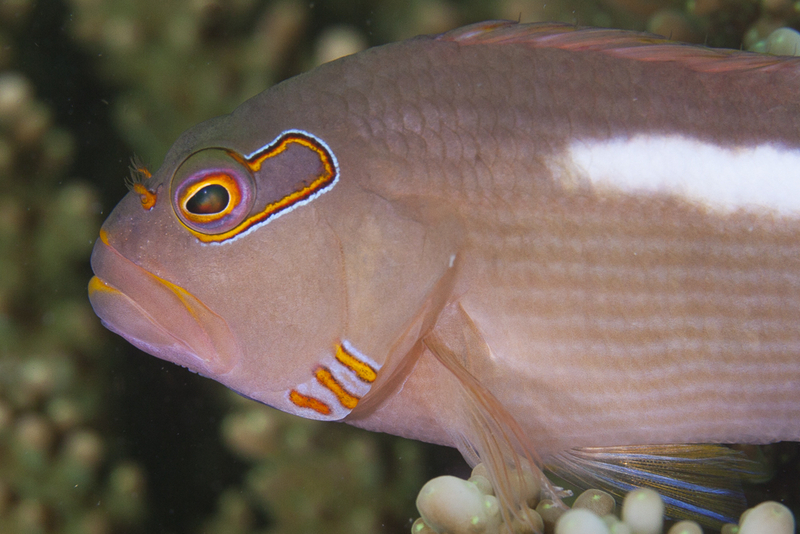 Tiny fish dart through tide pools where plum-red and green sea anemones wave their antennae. Chumbe’s coral-rag forest provides refuge for an abundance of wildlife including birds, crustaceans, nonpoisonous snakes, and lizards. In his book The Future of Life, world-renown scientist and Pulitzer Prize-winning author Dr. E.O. Wilson alerts readers to the consequences of the accelerating loss of species due to human activity. "It's a wearing away of our resources when we let species go extinct," he writes. "There will be major changes as keystone species are removed. There are classic examples of how the removal of a single species can completely alter an environment to human detriment." 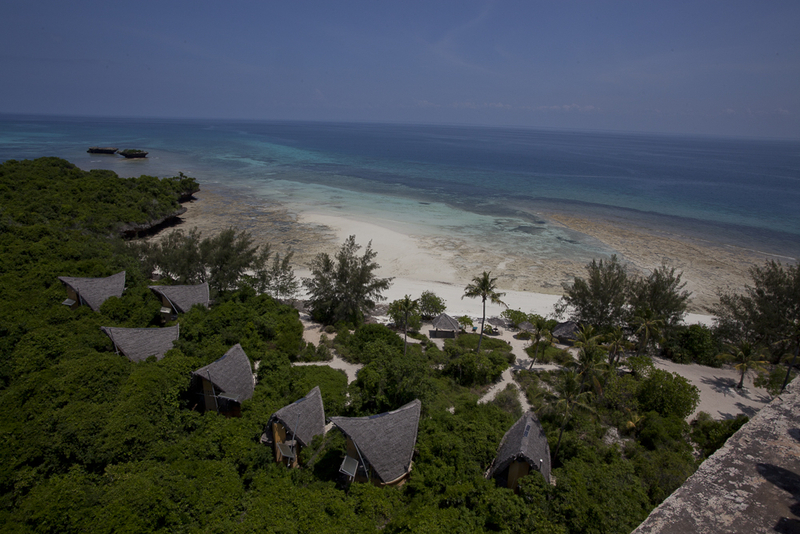 The knowledge they've gleaned from a visit to Chumbe Island Coral Park spreads around the globe when guests fly home, many deeply moved by their experiences beneath the sea and on an island where sustainable practices preserve the healing restorative qualities of nature. The holiness of the island's origins shines forth in the perfection of an ecosystem left whole, healthy, and functioning as intended. Look what happens when one woman takes action. The possibilities are endless if everyone learns to care for this beautiful and fragile earth entrusted to us by our Creator.